Slip and fall accidents can result in severe and debilitating injuries. Determining liability in such cases is dictated by two factors: the conditions of the premises where the incident occurred, as well as the precautions taken by the property owner to prevent or ameliorate dangerous conditions. Below, a Boston, MA slip and fall lawyer from Bellotti Law Group, PC, highlights several common circumstances that contribute to slip and fall accidents. Property owners can be held liable for injuries stemming from a slip and fall that occurred on a stairway with debris, missing or broken handrails, or worn down or slippery steps. Liability will often boil down to whether the property owner was aware of the danger presented by the area’s condition. Regardless, they may still be found at fault if the hazard existed for a length of time that warranted the proprietor’s attention. Property owners are expected to maintain flooring — both bare and carpeted — in a manner that minimizes danger to individuals using the property. For example, a proprietor may be found liable for a slip and fall that occurs on carpeting that is bulging, ripped, or excessively worn. The same applies to bare wet floors that lack warning signs or have been waxed or polished improperly. 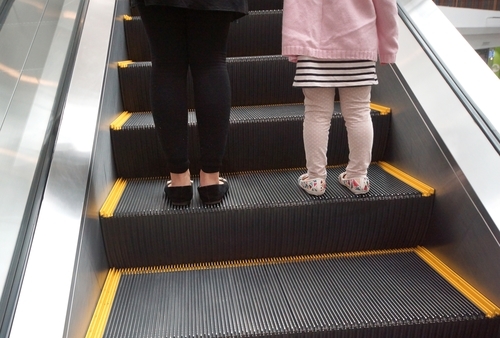 Escalators and elevators are designed to carry passengers safely and efficiently. When an injury is sustained — whether due to machinery malfunction or lack of maintenance — liability issues may arise. Depending on the situation, a property owner may also be liable in situations involving clothing and extremities caught by equipment. If you need a seasoned slip and fall lawyer in Boston, Cambridge, or Quincy, MA, turn to the talented team at Bellotti Law Group, PC. Focusing on a wide variety of personal injury cases, including slip and fall, wrongful death, and motorcycle accident claims, their attorneys offer the knowledge and experience you need to obtain the compensation you deserve. Consultations are available: Contact the law office online or call 617-788-1000 (Boston), 617-225-2100 (Cambridge), or 617-328-2300 (Quincy) to speak with a slip and fall lawyer today.